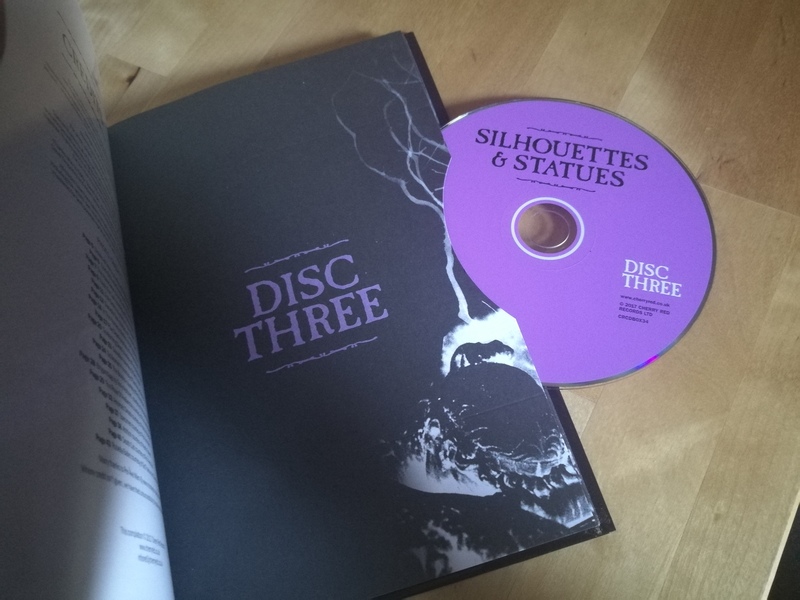 Some time ago the Cherry Red Records team approached me with a very generous offer – a very advance listen to Silhouettes and Statues, the magnum opus of goth: a five-disc über-compilation of the finest new-wave, post-punk and proto-goth tracks spanning the earliest era, 1978 – 1986. Even though I tend to avoid music reviews where possible, I leapt at the chance to immerse myself in the true genesis* of the goth sound. I promptly sank like a stone. The content is overwhelming, hair teased higher than any upstart competitor compilation out there. The tracks are curated with very careful attention to detail, selecting not the familiar or the popular tracks, but instead the tunes that were very appropriate for the band during that specific era – for example, the included version of Southern Death Cult’s ‘Moya’ is notably different to the copy I already have, so even with well-known artists I was making brand new discoveries. 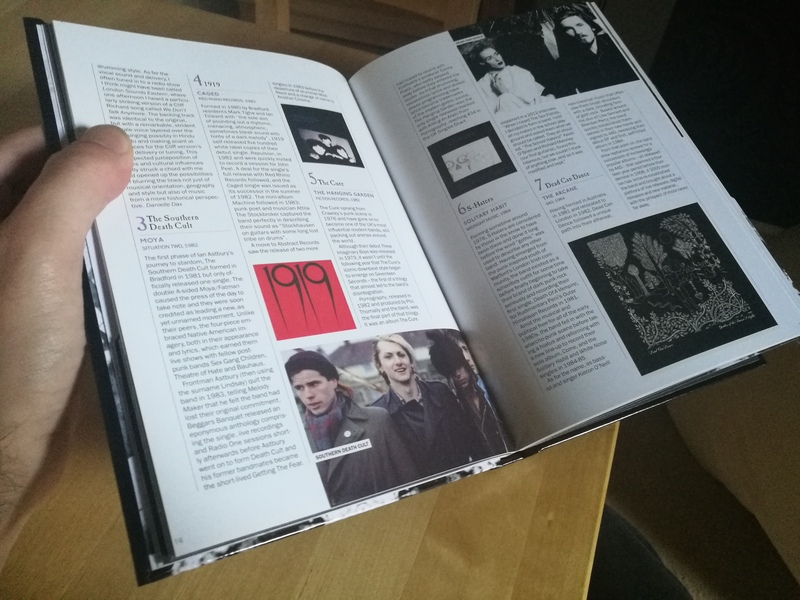 An opportunity was perhaps missed with the ordering of the tracks – a linear course from ’78 onwards could have illustrated the evolution of post-punk, but it seems a very minor quibble. It’s also sad to note the absence of the Gothmother herself, Siouxsie Sioux – either the band or the record label must have declined to share the Banshees back catalogue, a significant loss to the listener. 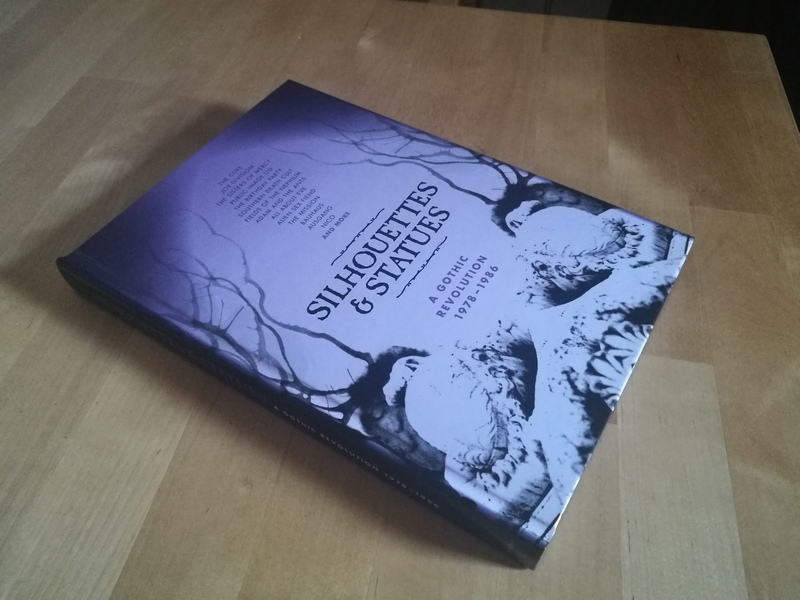 Nevertheless, you are also privileged by the accompanying materials, all glossy pages celebrating the myriad details of production and release that will delight the dedicated fan, expertly curated by Natasha Scharf, expert in goth Studies! Where possible, the producers have even sought out the artists for their unique commentary on a song, with comments from Danielle Dax, Martin Bowes of Attrition, and Paul Berry of Rose Of Avalanche amongst others. It’s a delight to hear from these artists again, with intriguing and interesting anecdotes and backstories from their past. I’m still staggered by the scope of the project – track after track flies past, many by artists long since revered by goths, and often portrayed in some elusive B-side or early single you might not hear on the dancefloor of your local night. It’s a fanatic’s delight, and an impossibility to quantify. I rate it essential for anyone’s collection, and a vital aid to DJs looking to vary their mix – albeit a challenge as many goth nights must cater to the popular groove carved through goth over the decades. Still, this glorious, labyrinthine, weighty paean to forty years of soundtracking sardonic solemnity breathes life back into the undead (undead, undead). Find out for the first time, or relive the experience, of some classic artists – and unsung heroes – with this eclectic mix. Draw the curtains, light the candles, and raise the corpse of goth again! This entry was posted in Uncategorized and tagged bands, book, music, review. Bookmark the permalink. Oooo, I need to get this! It reminds me of the ”A Life Less Lived” gothic box that I have.